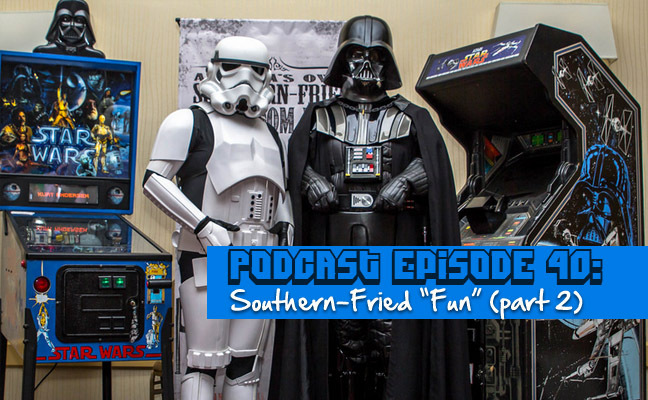 There was so much fun at the Southern Fried Gameroom Expo, we couldn’t fit it all in one podcast. In this episode Patrick and Preston tell about all exciting events that happened on Saturday at SFGE: a Swap Meet, Battling Billy Mitchell, Storm Troopers, Sessions galore, and rocking out with a little Pac-Man fever and Rock Band! Stories galore and a peek behind the scenes of running our first show. Stick around for an interview with the King of Kong himself, Mr. Billy Mitchell.